We see many artisans coming in and out of the store daily. As they checkout their basket of glistening jewels, I like to guess what their finished product may look like. Sometimes, I have absolutely no idea and it makes me really curious to find out. Once, our beading instructor bought an odd collection of materials and random pieces. She later brought in a stunning piece of necklace that belongs in an art museum! Here’s one of her pendant. 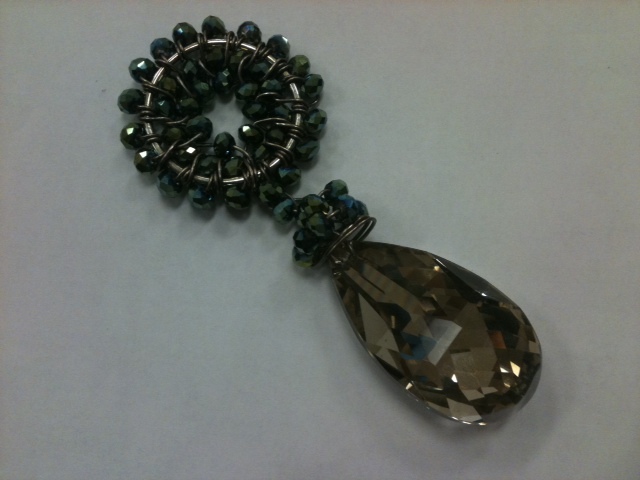 If you would like to learn how to make it, join us in our beading class! What are you making now? Step outside the box and start creating! Bring in your creations, we would love to see them!